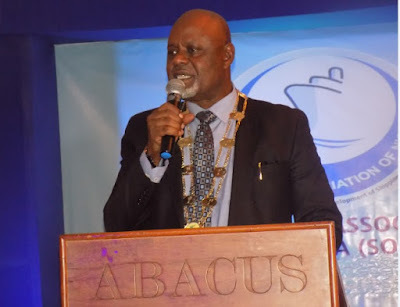 The Ship Owners Association of Nigeria (SOAN) is hopeful for more engaging periods with various key stakeholders in the maritime industry as it inaugurates its new President, Dr. Mkgeorge Onyung, and other executive members to steer the association’s affairs for the next two years. 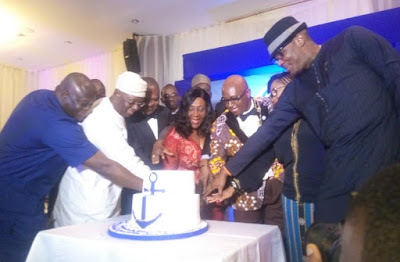 Speaking at the event, which held on Friday, April 12, at the Oriental Hotel in Victoria Island, Lagos, Chairman of the occasion and maritime expert, Chief Adebayo Sarumi, extolled the association for tenaciously engaging the industry, staying focused on its plans and making remarkable impact. 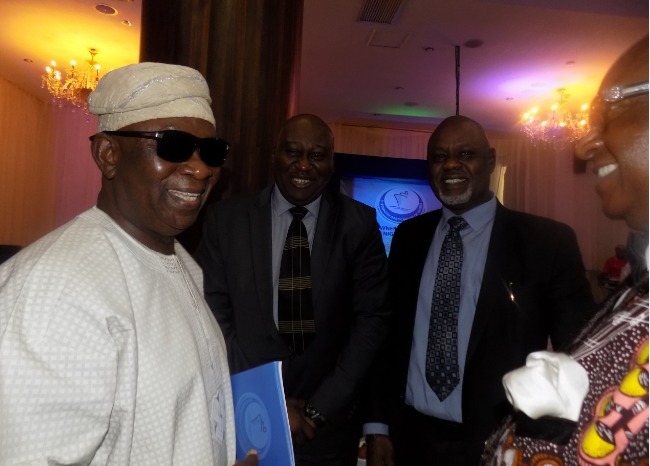 He added that as the association had shown integrity from the onset, it should continue and be ready to establish more impacting success stories for the benefit of the shipping sub-sector, particularly in showcasing the capability of Nigerians to doing it right in the sector. “You have been able to convince the stakeholders, particularly the IOCs that Nigerians can indeed run shipping companies and run them better. I am indeed proud of all of you. “I want to let the stakeholders know that they have only seen a tip of the iceberg in terms of service rendition by these very illustrious Nigerians. I know where we were five years ago and I know where we are today. I can assure you that we are going to go farther, we are going to go much better than we are today." In a goodwill message, the Rector, Maritime Academy of Nigeria (MAN) Oron, Commodore Emma Effedua (rtd.) appreciated SOAN for its continued support to the academy. He said he was particularly impressed by the fact that the association remained strong in a collective resolve to maintain an association in spite of challenges they may have faced. In her own message, Chairman of the Ship Owners Forum, Mrs. Margaret Orakwusi, said it was dignifying to be part of a highly recognised body of ship owners who have in less than five years proven a worth in service provision in the maritime industry. Overwhelmed by emotions of fulfillment, the immediate-past president of the association, Engr. Greg Ogbeifun, appreciated the media for a robust reportage of the events and activities of SOAN from inception till date, and appealed that the media continued on that note. 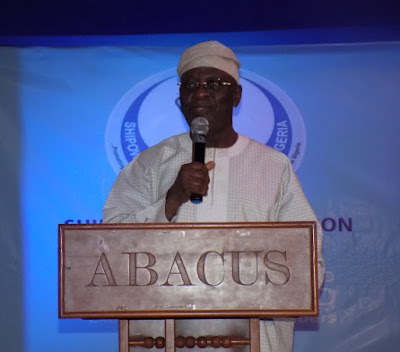 He encouraged the members of the association to remain supportive and committed to the good works the association is known for, while working for greater marks of excellence in its dealings in the industry. His words: “The journey was not easy but we stayed focused. Our objective and mission was very clear; to establish an association of shipowners that would stand in a place of support to our industry and our country. 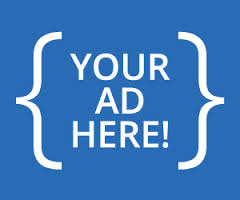 “The maritime and shipping industry will amount to nothing if there are no ships. There would be no ships if there are no shipowners . Therefore, the place of a viable association of shipowners in this country and the economy is of utmost importance. “I thank particularly the shipowners who have taken a position to ensure that this association stays alive. As it stands today, the association enjoys national and international recognition. “I implore the incoming executive to continue in the direction we have been coming, to make the association an asset to the agencies of the industry, to the key stakeholders, the IOCs, who are principal clients upstream and other players downstream, and continue to engage with various levels of governance because without you, they may have policies, but they may not be able to implement those policies." Speaking, the new President of SOAN, Mkgeorge Onyung, pledged to carry on in greater strides what the association has been notable for; purposeful engagement with key industry stakeholders for enterprise growth and remarkable position in the industry. “We will sit down understand the problem very well and engage the stakeholders collectively, continuously to ensure negotiations and dialogue in non-confrontational manner,” Onyung said. The new Executive Council has Dr. MkGeorge Onyung as President, Eno Williams is First Vice President, and Sonny Eja- Second Vice President. The other members of the Executive Council are Babalola Adefarati, Iroghama Obuoforibo, Wisdom Nwagwu, Rotarian Lucky Akhiwu, Dr. Luis Ekere, and Gbolahan Shaba.